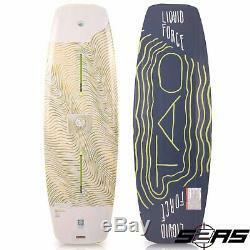 The Tao is the original wakeboard that allowed Daniel to push his riding to mind-blowing levels. The 2019 Tao comes equipped with the LF exclusive Flex Track system that provides a level of flex and control never before felt in wakeboarding. This feature allows true integration of binding and board especially felt when pressing on rails and edging into the kicker. In addition, the unique stepped deck profile provides lively flex and increased strength through the centre of the board for more aggressive riding. Lastly, a wide centre concave that flows perfectly into shaped channels below your feet this finless design creates ultimate control and stability. The Tao is the perfect board for the true park rider that wants to ride more aggressively than anyone at their local park. LF FlexTrack: The most responsive and customizable binding to board setup in the industry. Improved for 2019 added micro teeth, locking in the board to binding interface yet still allowing for many adjustments. LF also added a polymer cover plate that creates a composite sandwich on top of the track system. Remember FlexTrack is compatible with any binding but optimized with 4D! 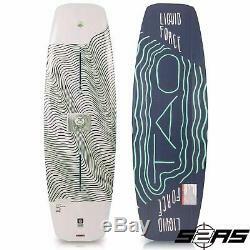 3 Stage Rocker: A flatter mid-section for more speed/rail control yet an exaggerated later arc for that delivers a more instantaneous pop off the wake. Triple Stringer Wood / PU Core: The best of both worlds, the flex and spring of a solid wood core combined with the strength and resilience of a PU core. Stepped Deck: Provides increased strength in the centre of the board as well as a lively response and softer landings. Single Concave Hull w/Edge Channels : The cleanest and simplest way of providing the lift that still offers excellent drive and stability while the channels provide increased hold and control. LF Liquid Rail Sidewalls: Elastomeric sidewalls ensure unbeatable durability and strength, a material that moves with the flex of the wakeboard for endless cable park possibilities. LF Sintered Grind Base: Unrivalled durability that ensures the wakeboard will endure the toughest of features. Established in 2002 S2AS has become known, as the rider owned rider run extreme sports leaders in the UK. S2AS is perfectly located in Poole, Dorset only 20 minutes from the only full Wakeboard cable on the south coast where you can demo all of the Wakeboard equipment we stock in store. In our back yard are some of the most popular kitesurfing destinations in the UK, one being Poole harbour where you will find us teaching Kitesurfing Lessons when the wind is up. We teach in the second largest natural harbour in the world, this provides us with perfect conditions for Kitesurfing lessons right on our doorstep. 90% of our customers keep returning every year to take advantage of the services we provide this allows us to build a relationship and understand exactly what your looking for. This is a not just another watersport this is a lifestyle. S2AS is not just a kitesurf school in Poole, Dorset, Water or snowboard sports shop were a lifestyle brand. Our team lives and loves what we do, If were not teaching kitesurfing or in the shop were at the Wakeboard cable on the beach Kitesurfing or taking trips to the snow. Were putting in the groundwork constantly testing and proving our knowledge so that we can provide the best quality equipment on the market to you. We don't stock anything that we don't believe in, We understand the need you have to find gear that you're going to enjoy and trust riding every time you go out. We spend days testing so you don't have to. Some of the top brands that we stand by are Cabrinha Kites and Slingshot Kites for kitesurfing. We also arrange Snowboarding, Kitesurfing and Wakeboarding holidays all year round - these are not to be missed! Thats enough about us we want to know about you, Pop into our Shop in Poole, Dorset and say hi If your thinking about leaning to Kitesurf or just want to come and have a look we would love to see you if not in the shop at least on the water. Have fun from all the Team at Surface 2 Air Sports (Rider owned Rider run). 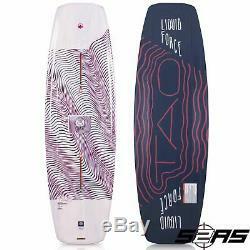 The item "2019 Liquid Force Tao Cable Wakeboard" is in sale since Tuesday, December 18, 2018. 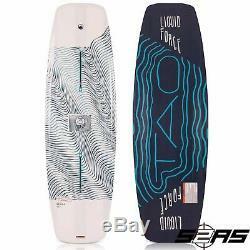 This item is in the category "Sporting Goods\Waterskiing & Wakeboarding\Other Waterski & Wakeboarding". The seller is "s2as" and is located in Dorset. This item can be shipped worldwide.